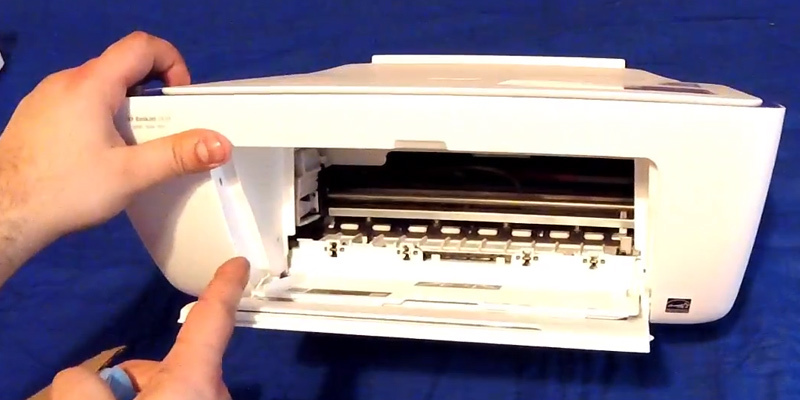 This wireless all-in-one prints thousands of pages, all at an ultra-low cost-per-page. Our easy-access, spill-free refill system means no more mess, just exceptional quality and reliability for all your high-volume printing needs. More pages for your money, Print high volumes at an extremely low cost-per-page with this high-capacity ink tank system. Print thousands of pages with high-capacity ink tanks—simply add more ink when you're running low. 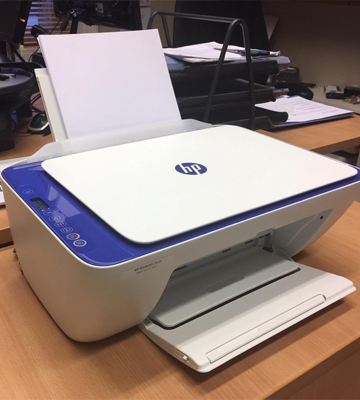 Print up to 8000 pages with a set of HP colour bottles or up to 5000 pages with an HP black ink bottle. Easily monitor ink levels and replenish Original HP ink when you want. Transparent ink tanks allow you to print with confidence. This all-in-one is easy to set up. It even comes with the Original HP ink bottles you need to get started. Exceptional HP quality. Count on crisp, sharp text and vibrant graphics for all your marketing materials, time after time. Print everyday documents with sharper lines, darker blacks, and reduced smudging on ColorLok® papers. Get high-quality prints—time after time—with an all-in-one designed and built to be reliable. Easily print from a variety of smartphones and tablets. Start printing and get connected quickly with easy setup from your smartphone, tablet, or PC. Connect your smartphone or tablet directly to your printer—and easily print without accessing a network. Manage printing tasks and scan on the go with the free HP All-in-One Printer Remote mobile app. Order the Hp Deskjet 2630 ​today and have it delivered to your doorstep within 1-3 working days or same day delivery within Nairobi. Payment on delivery.